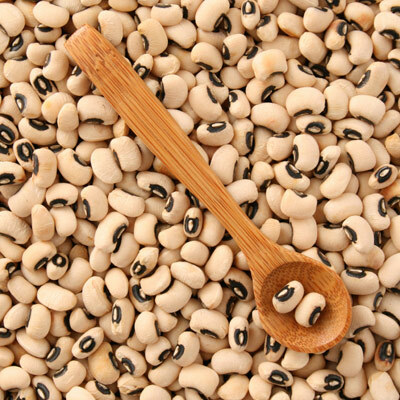 I'm sure everyone has heard that eating black~eyed peas on New Year's Day will bring you a year of good luck. Well, why tempt fate? Eat some good luck! I have a simple, delicious recipe for Hoppin' John Soup that I'm sure your entire family will like. There are tons of different recipes for this dish, but I like mine because its quick to prepare, and great tasting. It also calls for canned peas which eliminates the longer prep time for dried peas...YAY! 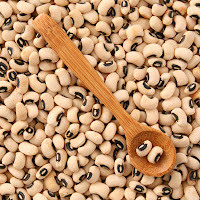 In a large stockpot combine the sausage, rice mix with the seasoning packet, black-eyed peas, tomatoes, chicken broth, collard greens, and water. Bring to a boil, reduce heat to low, cover and simmer for 20 minutes. 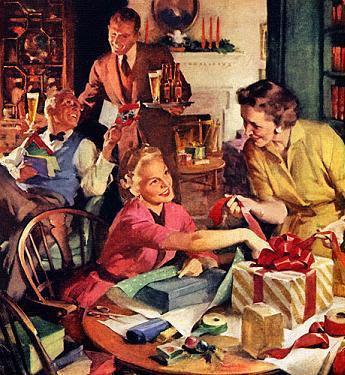 Season to taste and bring your family some good luck! Note: Don't worry about thawing and squeezing dry the spinach or collard greens. Just toss them in! Combine the eggs, water, oil, sour cream and cottage cheese. Mix in the flour, salt & pepper and work until dough forms. Knead into a smooth ball and refrigerate for 30 min. Boil cubed potatoes until just tender, set aside. Saute onion with garlic until the onions are translucent. Add spinach and season with salt, pepper, and nutmeg. Add spinach and stir until spinach has broken up. Drain and mash the potatoes, (saving a little of the water) then add the spinach mixture to potatoes and combine. Add a little bit of olive oil for flavor and additional salt to taste. If potatoes are too dry, you can add a little bit of the reserved potato water to make it more creamy. Remove the dough from the fridge and roll out to about 1/4" thickness. Cut out 3-4 inch diameter circles and fill each round with 1-2 tsp. of the spinach filling. 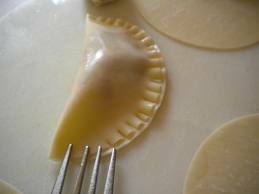 Fold in half, sealing shut by pressing seams together with a fork or using a dumpling crimper. This is an example photo only. Your dough will be thicker. Bring 3 Quarts of water to a boil. Carefully place 4-5 perogies in the boiling water and cook for 15 minutes or until dough is soft. You can also bake them in the oven at 350 degrees for 30 minutes, be sure to use a greased cookie sheet. 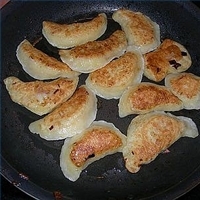 You can also pan fry the perogies by heating a heavy frying pan or dutch oven over medium high heat. 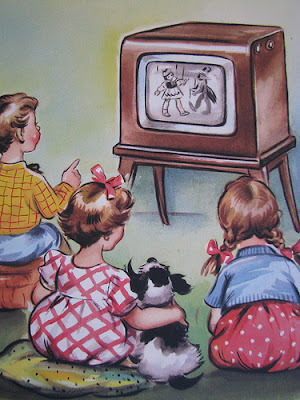 Add 4-5 Tbsp. olive oil to heated pan, and place perogies in the pan on their sides. Cook 7-8 minutes per side or until they are golden brown. This is a recipe that my family and I really like. It is pretty easy to put together, and it tastes great! 1 pkg. (8 oz.) 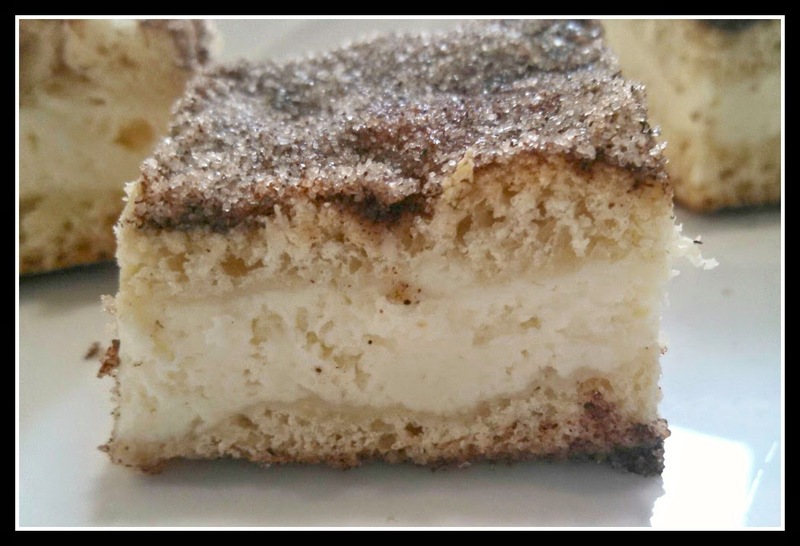 Corn bread/muffin mix + ingredients to make it. Combine the cooked ground beef with cumin, salt, chili powder and pepper. Place in the bottom of a 4-5 qt. crock pot. Stir in the beans, tomatoes, enchilada sauce,and onions. Cover and cook on low for 6-8 hours or until heated through. In a small bowl, combine the muffin mix and required ingredients. Spoon over meat mixture, cover and cook 1 additional hour, or until a toothpick inserted in the center comes out clean. Sprinkle with cheese, cover and let stand about 5 minutes. I have made this several times, but I use my recipe for cornbread in stead of the package mix. 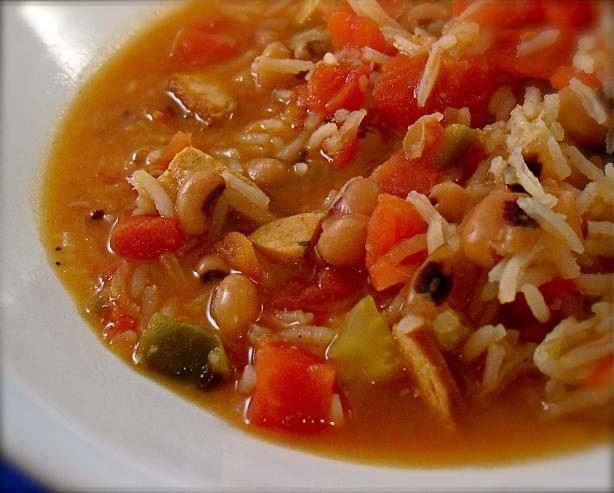 It is more flavorful, and is a little larger in portion. 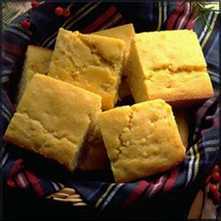 You can find my fast and simple cornbread recipe here. Whenever I buy fresh ground beef I cook up 2-3 lbs. with a diced onion and S&P. I then bag each pound separately in freezer bags, and freeze them. You can put the frozen, cooked beef back into a skillet, add about 1/4 c. of water and reheat quickly, or simply heat in the microwave. I have also emitted the ground beef altogether and used red beans, kidney beans and black beans instead. I actually prefer this version, but my family likes the original one best. Preheat oven to 400 degrees. Spray a 9" square baking dish with non-stick cooking spray. In a smaller bowl whisk the milk, oil and eggs together. Pour the milk mix over the dry and using a fork stir just until combined. Don't over mix! Spread the batter evenly in the prepared pan and bake 20-25 min. or until a toothpick inserted in the center comes out clean. This recipe easily adapts for muffins or bread made in a skillet. Just watch the cooking time by checking for the done-ness with the toothpick. 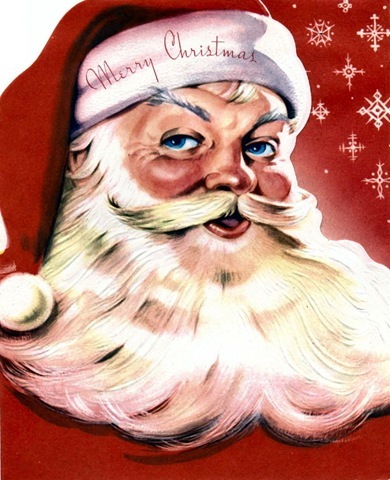 WISHING YOU THE SWEETEST OF CHRISTMAS'! 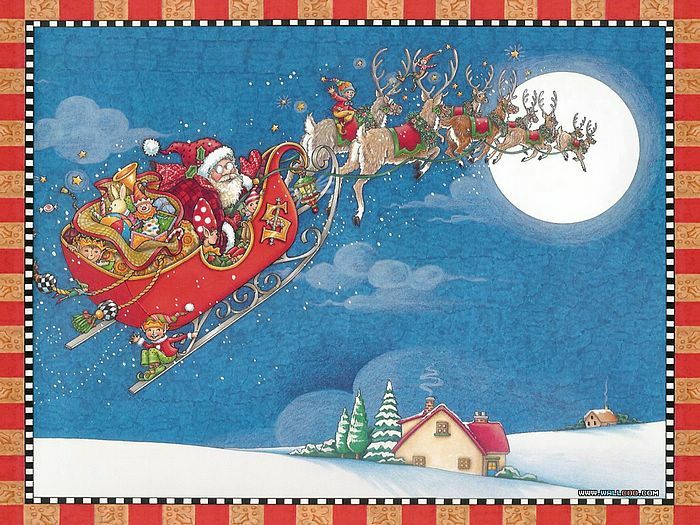 We wish you and your family the sweetest, yummiest, and warmest of Christmas' ever! Relax, enjoy, eat LOTS of delicious foods, and have yourselves a Merry Big Christmas! 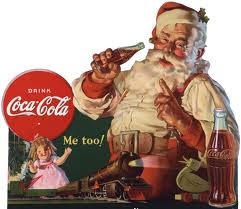 I love the Coca Cola Santa! 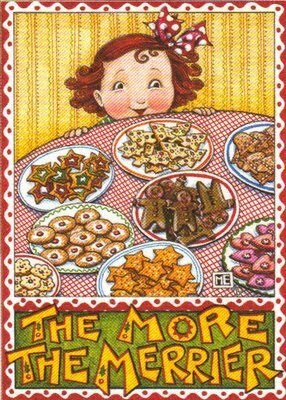 I also love Retro Holiday Clipart!